Free from prison and living under house arrest since a court ruling last December, Msgr. William Lynn’s freedom may be in jeopardy again. The case of the former secretary for clergy of the Archdiocese of Philadelphia, the highest-ranking church official in the archdiocese convicted of a crime connected to the clergy sexual abuse crisis, took a dramatic new turn April 27 when the Pennsylvania Supreme Court overturned a lower court’s ruling that had released him on bail. 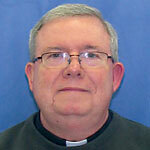 It remains unclear whether the Philadelphia District Attorney’s Office will press to revoke Msgr. Lynn’s bail and return him to a Northeast Pennsylvania prison, pending appeals to yesterday’s ruling. Msgr. Lynn, 64, had been convicted of endangering the welfare of a child in his landmark 2012 trial. In his position, he had supervised clergy on behalf of Cardinal Anthony Bevilacqua including former priest Edward Avery, who pleaded guilty to sexually assaulting a 10-year-old boy in 1999 and is serving a five-year prison sentence. After Msgr. Lynn served 18 months of his three- to six-year sentence at Waymart State Prison, his conviction was overturned by the state Superior Court in December 2013. He subsequently took up residence with electronic monitoring at St. William’s rectory in Northeast Philadelphia. Msgr. Lynn’s defense contended he should not be convicted retroactively according to a 2007 amendment to a 1995 child endangerment law when he was a supervisor until 2004. That argument formed the basis of the priest’s defense. The 2012 trial jury said the law did apply to him, the Superior Court said the law did not, and the Supreme Court held that it did. The three-judge Superior Court unanimously ruled the law’s scope was limited, and did not apply to Msgr. Lynn while he was a supervisor. The Supreme Court countered that he was culpable under the 1995 EWOC law. In his 60-page opinion, Baer devoted 40 pages to recounting lurid Philadelphia grand jury testimony of clergy sexual abuse that was the basis for the 2012 trial of Msgr. Lynn, showing evidence of his responsibility as a supervisor of priests and for ensuring the welfare of children. The court agreed with the 2012 trial jury that Msgr. Lynn failed to properly supervise Edward Avery and ensure the welfare of his victim. The opinion faulted the superior court’s disregard of “plain and unambiguous” language of the 1995 statute in that “it is not the child that (Msgr. Lynn) must have been supervising, but the child’s welfare, including that of (Avery’s victim),” Baer wrote. “A subsequent change in language (2007 amendment) does not retroactively alter the legislative intent that is apparent in the plain language of the prior (1995) version of the statute,” he wrote, reversing the superior court’s decision. But the law’s intent was not clear to Chief Justice Thomas Saylor, who cast the lone dissenting vote in the decision. Despite the majority, he maintained that the 2007 amendment’s language should not apply to Msgr. Lynn’s case. In his opinion, he wrote that the law was too ambiguous regarding who is culpable as a supervisor, including Msgr. Lynn. Where such ambiguity exists, it “should be resolved in favor of the accused,” he wrote. Msgr. Lynn’s defense reportedly was considering appeal options at this time, including appealing to the U.S. Supreme Court. What everyone on both sides is missing is a basic rule of law in this country. A law can NEVER be retro active. What ever he did or didn’t do our system never allows you to be convicted of a law that didn’t exist when you did the act. The mgr. left his position in 2004 and the law became law in 2007, How can he be convicted of a law that didn’t exist. No matter the act or inaction It is the Law that must be protected. Msgr. Lynn is suffering for the sins of others. like blaming Peter because Satan entered into the heart of Judas. won’t stick in the new Testament. If he saw an arsonist would he look away? He was aware that an act of a sexual predator was against the law. He abetted a criminal. There is no seal of a confessional involved. I don’t know if there was ever a superior court that voted 4 to 0 to reverse a lower court ruling was in turn reversed 4 to 1 by Supreme Court. As Tom Bergstrom said : very hard to understand. Bill Rueter, Langhorne, Pa.